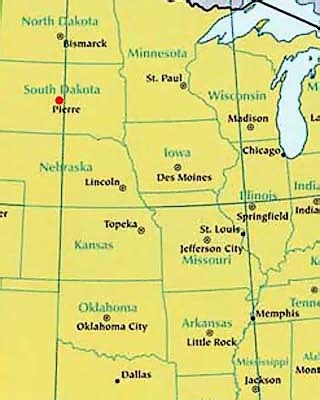 South Dakota is positioned in both the northern and western hemispheres. Located in the North Central (or Midwest Region) of the United States of America - a part of North America - South Dakota is bordered by the states of Wyoming, Montana, North Dakota, Minnesota, Iowa. Nebraska.